Peoria, Ill. (Oct. 26, 2017) – After two rounds of public online voting, Apostolic Christian Home of Eureka, based in Eureka, Ill., and Blue Ridge Community Farm, located in Chillicothe, Ill., were crowned the grand prize winners in this year’s Make My Non-Profit Run Better contest by RK Dixon. Representatives from RK Dixon, a leading provider of copiers, printers, IT solutions, managed print services and pure drinking water systems, announced on 1470 WMBD this morning that Apostolic Christian Home of Eureka – a non-profit that provides provide skilled nursing care to seniors in their community – is the grand prize winner in the contest’s “large” non-profit category and will receive a $30,000 office technology makeover. Blue Ridge Community Farm was awarded first place in the “small” category, taking home $15,000 to help them continue to serve adults and children with special needs. Runner-up in the “large” category was EP!C, located in Peoria Ill., winning an equipment package valued at $10,000, while the Peoria Humane Society, also located in Peoria, came in second for the “small” category and took home the $5,000 equipment package. In total, the four winning non-profits in the Peoria and Bloomington area were awarded $60,000 in office technology prizes. 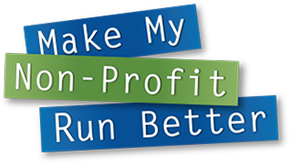 The Make My Non-Profit Run Better contest was established by RK Dixon in 2006 to give non-profits a chance to win free office equipment and technology solutions to help them run better and to help create greater awareness for their cause. Since the program’s inception, RK Dixon has awarded $573,000 to non-profits across Iowa and Illinois. RK Dixon representatives will visit the prize winners in the upcoming weeks to assess technological needs, and install equipment to fulfill each organization’s office and technology needs. The 2017 Make My Non-Profit Run Better contest began with 54 non-profits entering from the Peoria/Bloomington area for their chance to win the $30,000 or $15,000 makeovers. Organizations then encouraged their supporters to vote online at www.RKDixon.com. Votes were counted electronically, and the contest was narrowed to 10 finalists. RK Dixon partnered with Alpha Media for this year’s Make My Non-Profit Run Better contest. For more information, visit www.rkdixon.com or contact Darren Garrett, APR, marketing manager at RK Dixon, at 563.823.6365. RK Dixon is a leading provider of copiers, printers, managed print services, IT solutions and pure water drinking systems in each of the business communities it serves. Founded in 1983, the company retains a highly trained and tenured staff, and provides its customers with products boasting over 99 percent uptime. RK Dixon, along with its sister company, Premier, serves more than 120 counties in Iowa, Illinois and Wisconsin with office locations in Davenport, Marshalltown and Urbandale, Iowa, and Bloomington, Champaign, Peoria, Rockford and Springfield, Ill. In April, 2011, Premier was acquired by Global Imaging Systems (GIS), a Xerox Company (NYSE: XRX).